Brutho possesses advanced strength, speed, agility, endurance, durability and senses. My name was Captain Noble. I was a superhero who worked for the US government before becoming lost at space. After being consumed by the universe, I am now Cosmic Noble, and this is an excerpt from my new journal. …Brutho told Asotos he was a member of the Rathegalia army. He started out young, quickly working his way up the ranks to be a unit leader as he exhibited a great aptitude for leadership and strategy. He was a valuable resource in planning attacks and developing defenses. He was also a gifted orator. However, what he used his abilities for was not always good. In fact, Brutho was known to have committed numerous war crimes. As a unit leader, Brutho was fiercely loyal to the Rathegalia House. He was devoted more than any other vampire when it came to his duties, but he also had a nasty streak and loved violence. His superiors would try to keep him in line, but Brutho often thought he knew better than them and acted without authorization on many occasions. Such illegal activity he would conduct is when he would storm vampire villages where there were suspicions of activity promoting disloyalty to the Rathegalia House. Brutho would torture and kill anyone not able to clear their name of treason. He also would illegally monitor werewolves, and would routinely attack their camps, killing dozens of them at a time for no reason. Eventually, the Rathegalia army superiors could not work with Brutho anymore and dishonorably discharged him. After all his years of service and undying loyalty to the Rathegalia House, Brutho was infuriated that he was discharged. He had dedicated his life to service, and he felt it was the ultimate act of disrespect and treason for them to turn their back on him the way they did. And the final straw for Brutho was when he was exiled from Vrykolakas and made to work at the aima reservoir. Brutho did not know how, and he did not know when, but he swore he would exact revenge on the Rathegalia House. He then told Asotos it was fate that brought them together, for they both shared the same hatred, and the Rathegalia blood power was a poetic seal on the reality they faced. Asotos agreed, and he begged Brutho to teach him how to fight while he mastered the Rathegalia blood power. The former vampire warrior agreed, and the two set out to exact their revenge. Over the next few years, Brutho put Asotos through the most intense, rigorous training any vampire would go through. He broke the young vampire physically, and then rebuilt him into a well-oiled machine. Asotos grew into a monster in his own right. He was tall and built like a brick house. His strength was beyond any warrior Brutho had ever seen, and the old warrior knew he had a special pupil. 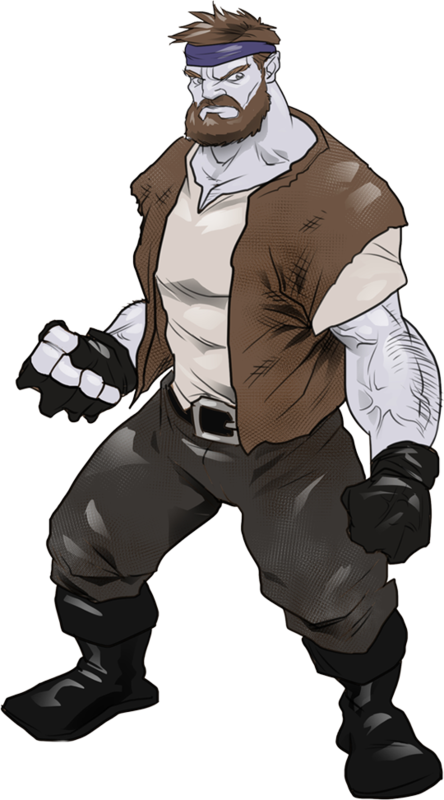 Asotos also increased his speed and quickness, mastering the short burst ability the Rathegalia blood power afforded him. Next, Brutho trained him in hand-to-hand combat and a variety of weapons techniques. He did not take it easy on his pupil either. Brutho often injured Asotos, forcing him to learn the hard way to defend with competence when they fought. When Asotos was injured too greatly, Brutho would steal money from nearby settlements and go to purchase humans for Asotos to drink from. This instantly healed the pupil, and it also helped him tap into the Rathegalia power more. Soon, Asotos mastered the abilities of the bloodline. He could blend in with darkness, he could fly, and he could also transform into a giant bat for a period of time to attack his enemies. Brutho was amazed at what Asotos could do. After a few years, Asotos finally became a master of his abilities. Brutho also said that Asotos needed to be as strong in his mind as he was in his body, so they spent endless amounts of time discussing and reviewing military strategies. The pupil learned all of the teacher’s secrets and knowledge, greatly sharpening his mind. Brutho also taught Asotos the skill of psychology. He helped his pupil understand the way the vampire mind worked. This enabled Asotos to manipulate people with his rhetoric and sway the masses with his oratory finesse. It was a skill that not only made Asotos incredible as a leader, but was imperative to their plans of revenge. After Brutho finished with Asotos’ training and was confident he was ready to begin carrying out their plan, he unleashed his creation on the world. Asotos began appearing in random villages and towns, earning the trust of the locals by working hard at different jobs and integrating himself into the community. Then, he would slowly reveal his thoughts on how werewolves were a growing threat to the vampire world. The vast majority of people did not agree, and they simply ignored Asotos as werewolf hate was not uncommon. There were a few who hated werewolves as well, though, and they became close to Asotos. That is when he employed his knowledge of psychology and molded his friends into cultish followers. From there, they traveled from town to town and increased their numbers. Then, they began showing up anywhere a werewolf had committed a crime and worked the victims and their peers into an uproar. This greatly increased the support Asotos had, enabling him to recruit many more followers. It did not take long for Asotos to amass a small force, and when he did, he began attacking werewolves. Werewolf settlements were falling left and right, all at the hands of Asotos and their followers. This caused the werewolves to begin retaliating, attacking vampire towns randomly. The retribution only fueled Asotos’ movement, and he soon had a number of vampire followers equivalent to a small army. Brutho was behind everything as well, in the ear of Asotos and advising him every step of the way. The two were masterminding a war, and the Rathegalia House was the next target. Asotos began raising questions as to why the Rathegalias refused to help the villages and innocent vampires when the werewolves were slaughtering them. He said the royal family would rather make deals with them to line their own pockets than to defend their own kind. The Rathegalias were not remaining neutral in the situation because of money though. It was because they were discussing the root of the problem with werewolf leaders in a diplomatic fashion. Both sides had lost many lives, and instead of destroying the truce their ancestors made, King Leon Rathegalia would rather come to an understanding and work to find a peaceful solution. The werewolf leaders agreed too. Asotos had simply gained too much power and influence over the people by that time, however, and the momentum was all on his side. Next, King Leon and his supporters came out and said the vampire people need not fear werewolves, and that Asotos and his extremist, hateful rhetoric and terrorist activity were the causes for the killing. Werewolf leaders stood by the side of the king too, also condemning the actions of rogue werewolves and saying that the killing of vampires was unwarranted. However, this only served to reinforce Asotos’ message that the Rathegalia House was in cahoots with the werewolves and neglecting their own kind. It also made werewolves angry at their leadership for seemingly throwing them under the bus. This caused more friction between the two sides, and more battles resulted from it. After a couple of years of this, Asotos’ ranks grew vast and wide. He had a full-fledged army at his disposal, and they were not only attacking the werewolves now, but they were also going after what they called “werewolf sympathizers”. King Leon was fully engaged now, sending troops out all over Friki to protect his people from Asotos and to help defend innocent werewolf settlements. Brutho was locked into a wargame with the king, and he loved it. He was also winning, as the combined strategic minds of Brutho and Asotos were able to systematically wither down the larger force they faced. They also were gaining more support from the vampire people through means of using propaganda and psychological methods. All of this led to Asotos capturing the kingdom of Didymo. It was the biggest victory of Asotos’ campaign, but when he returned to inform Brutho – who had been living in the same hidden cabin the whole time – he returned to find his teacher and mentor on death’s doorstep. He had fallen ill while Asotos’ was away on the extended campaign to take down Didymo. At that moment, Brutho made Asotos promise he would not stop, and that he would humiliate, disgrace and kill the Rathegalia House while conquering Vrykolakas. Asotos agreed, and after his mentor died, he set out to eventually overrun the vampire capital. The werewolves arrived with a contingent of soldiers from the Galaxias Kyklos Force!